Flutter is a mobile application SDK for building high performance, high-fidelity for Android and iOS. Flutter is a new framework for building of native Android and iOS. Flutter is Google’s mobile app SDK for crafting high-quality native interfaces on iOS and Android in record time. Flutter works with existing code, is used by Android and iOS developers and organizations globally. Using a single codebase can be developed for Android and iOS application. Developing language is Dart and it is very easy to understand. Less code requires for single OS using modern, expensive language and a declaration approach. Create a rich set of Material design and Cupertino widgets build using Flutter’s own framework using the stateful widget and stateless widget. Hot reload feature will be run your application in milliseconds. You can use a rich and fully customizable widget in a minute. Flutter is providing expressive UI supports using a different kind of inbuilt widget. 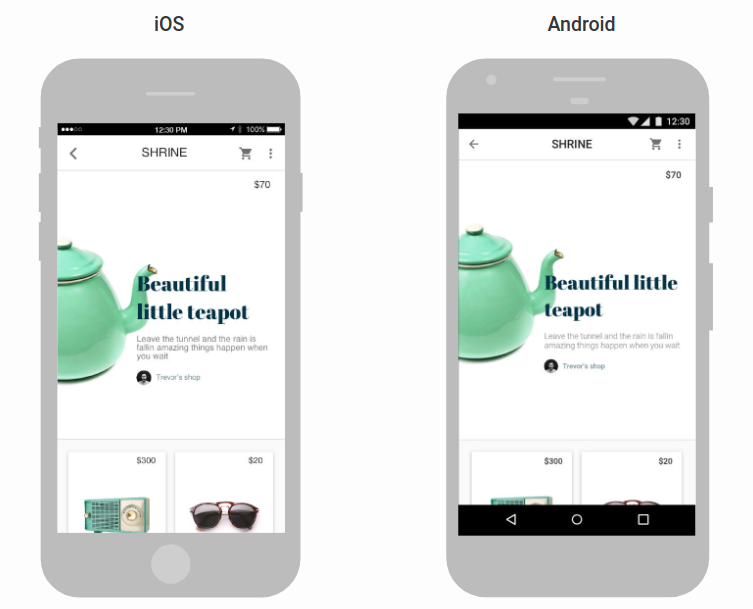 It’s very fast to load and support in both Android and iOS devices. It will look like natural feeling in android and ios application. There is no available graphical UI representor to create UI, you have to create UI using a code and it is very flexible. Flutter is based on the C++ engine that comprises Skia. 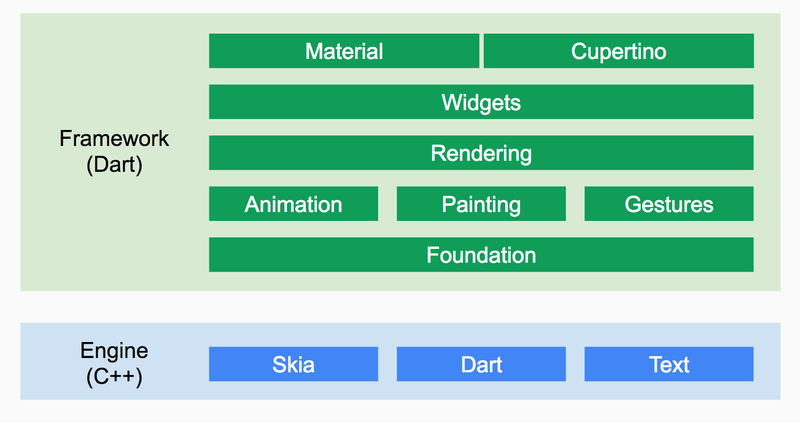 The framework is based on the engine and comprises widgets, rendersting, animation, etc. The framework is organized into a series of layers and each layer building upon the previous layer. The goal of the design is to help you can develop an application for Android and iOS in less code. You are now ready for run Flutter commands! Setup Android studio and latest SDK as well. Install Dart plugin for code analysis, validation, completions, etc. Open plugins preferences (Preferences>Plugins on macOS, File>Settings>Plugins on Windows & Linux). Attach device with your system and it will appear in Toolbar section. Click the Run icon in the toolbar and application will be run in your device. If everything is work, then it will show the application screen in your device and emulator. So, this is the basic flutter application so you can get an idea about to setup flutter and how you can use the flutter IDE tool. For more explore about Flutter use this website link [https://flutter.io/get-started/codelab]. Google has been using flutter in many internal projects before open into the public. Flutter development primarily archived speed using stateful hot reload, reactive development and programming, widget composition and UI as code. Flutter offers the same team the capability to develop an application for both Android and iOS, with higher speed and better performance, and reducing the manpower. For more information, you can contact us at Let’s Nurture. 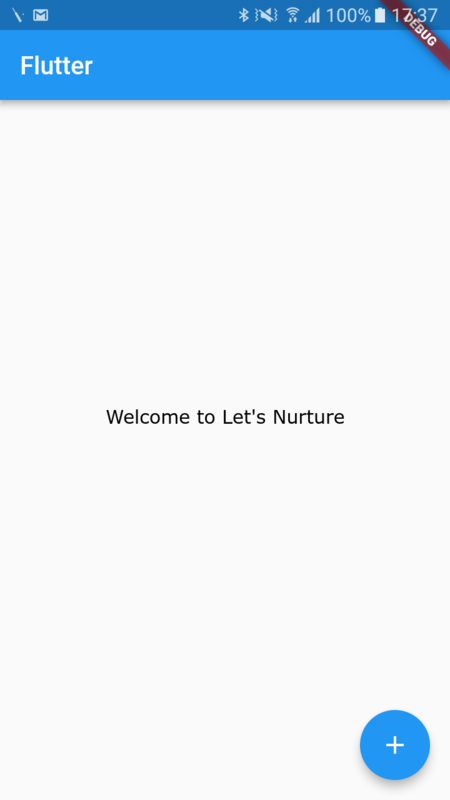 Let’s Nurture is an award winning ISO 9001:2015 which offers top-notch web and mobile application development services. We also provide custom IoT based mobile app development leveraging our expertise in providing IoT solutions.